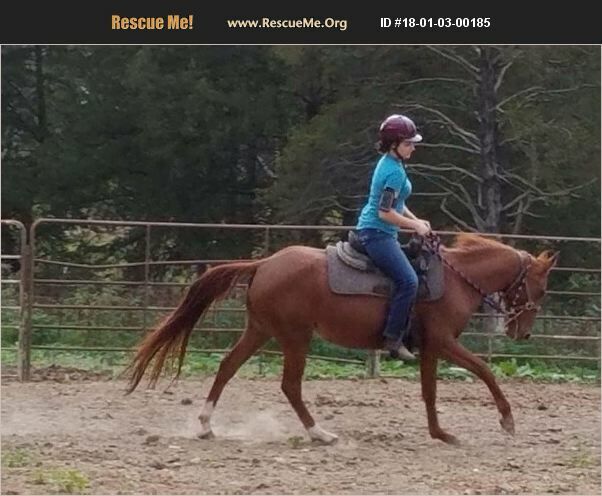 Missouri Horse Rescue View other Horses for adoption. 14.2 or 3 hh sorrel mare would make a nice Western dressage prospect or trails and endurance. Part Arab and Foxtrotter, she has good stall manners but can be hard to catch out in a field. She has never been shod but is good for trims and vet. Currently with a trainer. Adoption fee will go up as training progresses. Needs a rider under 190lbs with tack included. She rides in a basic snaffle bit only.